I love this! Darn, Hagi looks so handsome! Lucky girl. saya is sooooo damn lucky! but she should make a move on them! I love her dress here. awesome scan *-* I like it very much. my mom's (does not really watch anime, but Loved watching Blood+) voice from the background: SOLOMOOOONNNNNNN~~~~~! i love this scan its so beautiful this is my FAVOURITE anime!1 Thanks for sharing! This is just so true and cool! Really Awesome! thank you for the great scan. she has lots of good male choices, thanks so much for sharing a great pic! thanks for sharing, amazing scan. Fantastic scan! Thank you for sharing it ^_^ . Ololo, it's just a thing made me laught all over the anime xD coz too many persons fell in love with Saya. I don't think she's too pretty and worth it. I feel pity for Diva. She was never given such a feelings as true friendship or smth like that. 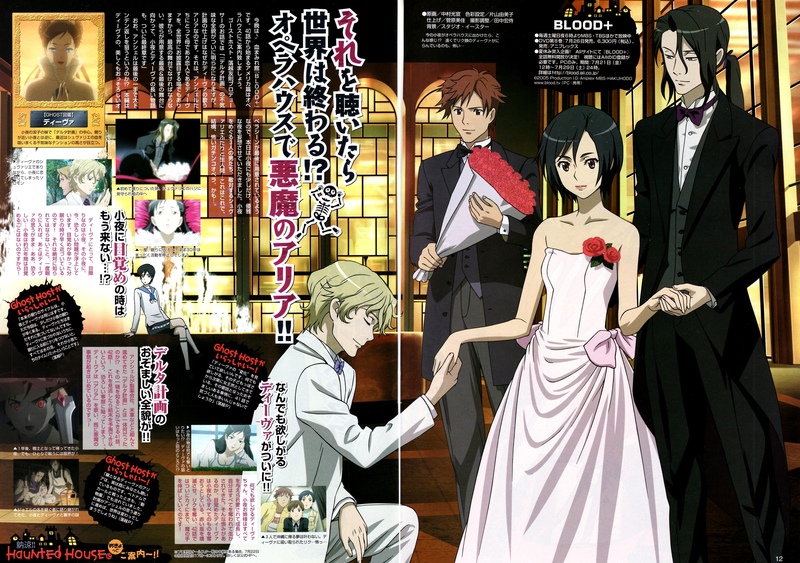 But thx for this awesome scan. Hell yeah! Thank you for the beautiful scan!